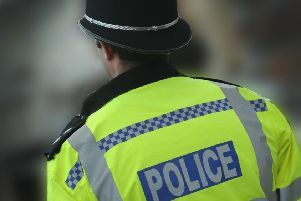 A detective who failed to properly investigate allegations of child abuse would have been sacked if she had not quit, a misconduct panel has ruled. DC Celia MacDonald, 49, was part of the Horsham safeguarding team but resigned days before her misconduct hearing last month. Her actions in not reporting allegations of child abuse made by three girls was found to be gross misconduct. During the hearing it was alleged that two of the girls told DC MacDonald they and another girl had been sexually assaulted, but instead of recording it as a crime she reported that the girls ‘made no clear disclosure and there were no immediate safeguarding concerns’. It was further alleged that she allowed the investigation to proceed without police involvement, and then 13 months later closed the case when she should have known it should be further investigated. A year later, the same family came to notice again and the matter came to light, leading to an IOPC (Independent Office for Police Conduct)-led investigation into the officer’s actions, police said. The panel found that her actions did amount to gross misconduct, but because she had already resigned from the force the panel has limited punishment powers. This week it was decided that her punishment would have been dismissal, had she still been employed by Sussex Police. “We expect the highest possible standards of our officers and staff and where their conduct falls below these standards they will be robustly investigated. Safeguarding of the public is an absolute priority for Sussex Police. DC MacDonald’s failure to perform her duty correctly potentially put vulnerable people at risk, although fortunately this case did come back to our notice and remains under investigation.